In this book of over 200 worked examples for stock traders and investors, you will discover an approach that was used by the iconic traders of the past to build their vast fortunes. Traders such as Jesse Livermore, Richard Wyckoff and Richard Ney all succeeded because they understood the power of the tape which delivered just two key pieces of information, namely volume and price, and from which they were able to anticipate where the market was going next. This approach was also codified by Richard Wyckoff into three principle laws, and forms the basis of volume price analysis. It is a powerful methodology that can be applied to all markets, instruments and timeframes regardless of whether you are an investor, trader or speculator. The examples presented in this book are drawn primarily from US stock markets, but also includes examples taken from the futures markets, such as indices, commodities, currency futures and bonds. 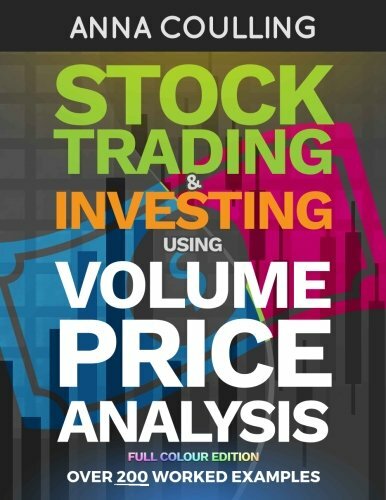 Each chart example is fully annotated to illustrate and highlight key points in the associated text, and together provide a detailed and comprehensive study of the volume price relationship, and giving clear signals as to where the stock is going next. And regardless of whether you are selecting stocks for growth, dividend yield, option strategies, or for speculative day trading, volume price analysis will highlight which ones to buy or sell, and when. Armed with this knowledge, success awaits.